Not the warmest place in the world to visit in April, but cracking for £23 return! Probably be around 20oC with sun and cloud. Corfu sounds great, Leeds sounds not so. even if it is only 6 months at most. Ryan Air, the Wright Brothers plane is a better proposition. ( Look it up … Ryan Air, the Wright Brothers plane is a better proposition. ( Look it up if you don't know what it means )Good deal, crap company. I don't think it is actually. But if you would like to test it, I'll get on a Ryanair flight, and you get on the Wright Brothers Plane, and we'll see who gets to Corfu first... if at all. Wow, I'm liking the sound of all these flight deals, they keep getting cheaper and cheaper. I went to Corfu about 8 years ago on a family holiday, we stayed at Kaloudis Apartments which was really good (from what I can remember). It's £435 for 2 people on those dates - not exactly cheap but worth a look on the off-chance anyone's considering that part of Corfu. I don't think it is actually. But if you would like to test it, I'll get … I don't think it is actually. But if you would like to test it, I'll get on a Ryanair flight, and you get on the Wright Brothers Plane, and we'll see who gets to Corfu first... if at all. I think we may of got lost in each others sarcasm there. I don't actually expect you to get on the wright brothers plane. I think we may of got lost in each others sarcasm there. I don't actually … I think we may of got lost in each others sarcasm there. I don't actually expect you to get on the wright brothers plane. Looks like it doesn't it . Oh well, we live n learn. A few weeks ago I booked to go from Manchester to Corfu and now the price has come down further. Just my luck. Shame it's a return flight. If you go on travelrepublic there is the very well reviewed Mitsis Roda Beach Resort and spa coming up very cheap for all - inclusive for dates matching the Eat Midlands flights. Yeah, everyone who finished secondary school knows who the Wright Brothers were. No need to tell people to look it up. how are they a crap company? they get you from A to B always on time and never loose luggage, follow there rules properly and wont be hit with extra costs this what makes a 'bad company' too many people slate it because they cant follow there rules properly... costs more than that to get a taxi ! Ryanair is one word, look it up..
You obviously do not have any experience of Ryanair. I use to go to school with a guy called Ryan Ayre. but its not letting me pick any destination !!! also its gone up to £43. If you could find cheap fares for the period around Orthodox Easter (29 April - 5 May) it would be amazing. 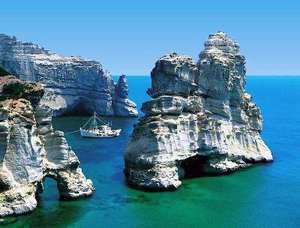 It's the best place for Easter in Greece with lots of festivities. ryanairs website is so frustratingly bad trying to book from east … ryanairs website is so frustratingly bad trying to book from east midlands for my friend but its not letting me pick any destination !! !also its gone up to £43. Yer it went up to that price at about 10pm last night, as I was going to book it but when I refreshed it had changed. Does make me laugh the clueless idiots who post slagging Ryanair off. shouldn't this be expired then if price has nearly doubled?